Typically, when ancient archaeological sites get some form of development, it’s a benefit. With development comes better controlled access and funds for excavation, preservation, and restoration. But it also means a lot more visitors. There’s nothing more satisfying than arriving at an ancient treasure to find few, if any other visitors there. But with more and more people traveling each year, it’s becoming harder and harder to find archaeological sites that aren’t crowded with tourists. For that sort of exclusive experience, you have to go the extra mile. To that end, check out our guide to 10 off-the-beaten-path archaeological sites every history lover should consider adding to their World Travel Bucket List. This UNESCO World Heritage Site has been hammered by looting, vegetation growth, irresponsible visitors and, most tragically, the U.S. Air Force (a 1969 bombing run took a painful toll). 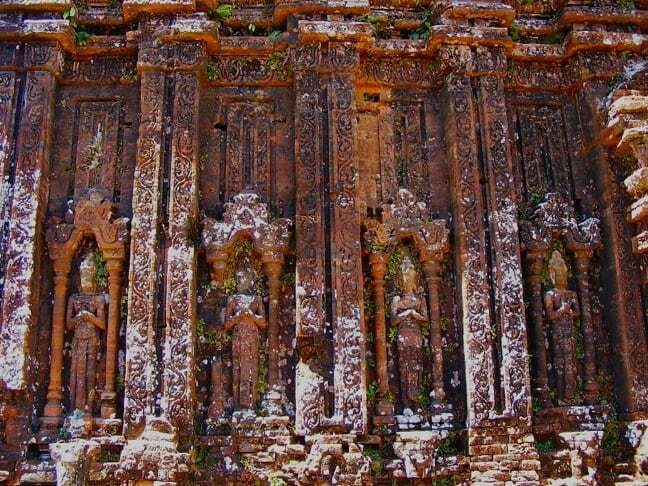 Still, the Charn Dynasty capital (which is located 70 kilometers south of DaNang) was a powerhouse in its day, ruling the vast Champa Kingdom for nearly 800 years. A Hindu kingdom, the Champa built in a very distinctive architectural style that incorporated influences from China and India. Seventy temples and numerous other buildings remain today, as do burial chambers for Cham royalty and a number of stele (or stone slabs) inscribed in Sanskrit and Cham. With help from UNESCO, the governments of Vietnam, Italy, and Japan have worked hard to stabilize and restore the site since 2004. Still, they caution that landmines and unexploded bombs from the war still lie in the jungle just beyond the site. Around 120 miles north of Lima, in the Supe Valley, lies one of the oldest cities in the Americas. At the same time Egypt’s pyramids were built 5000 years ago, the North Chico civilization was building its own pyramids in the coastal deserts of Peru. Caral, which was “discovered” in 1905, is famous for its large pyramids, sunken amphitheatre, and the mass of flutes (made from condor and pelican bones) and cornets (made from llama bones) that have been uncovered at the 35-square-mile site. 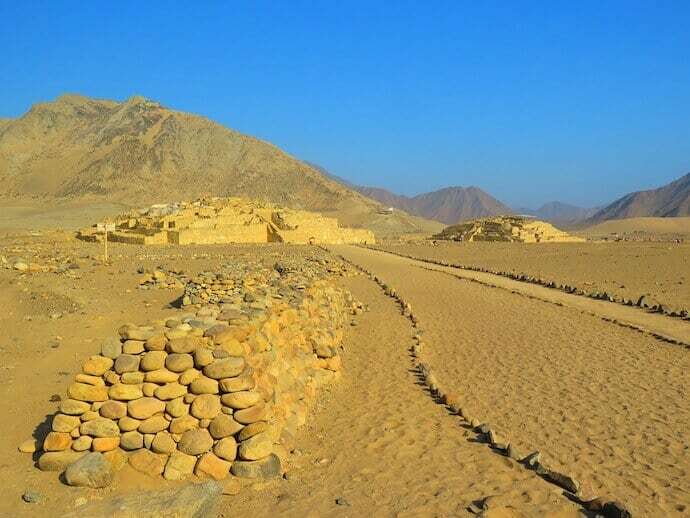 Most interestingly, from an archaeological standpoint, the settlement and architectural patterns at Caral clearly influenced nearly every subsequent civilization birthed along the Pacific coast, including the Inca. Rarely has an ancient site had such a far-ranging impact. 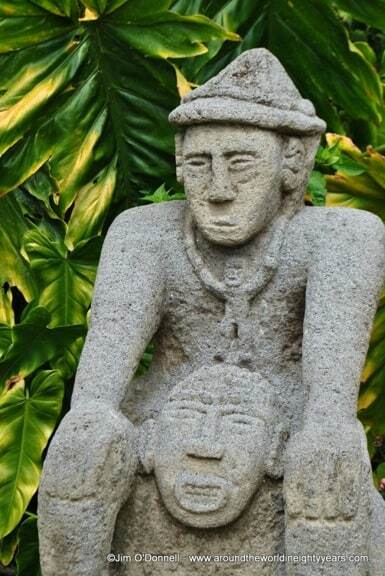 The Mayan civilization at Cobá reaches back at least 2100 years. Sometime between 100BC and 100AD, the first wooden town was constructed at the site, which is located in Mexico’s Yucatan Peninsula. By 200AD the city dominated the region, controlling ports, trade routes, mines, production facilities and agriculture. 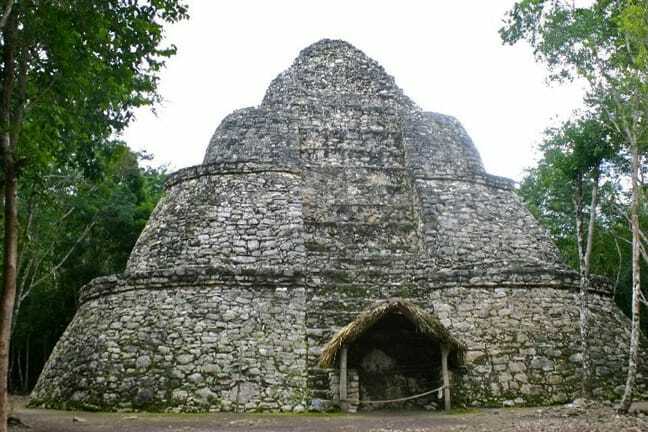 Cobá’s influence stretched far into central Mexico, and south into modern-day Guatemala and Honduras. The city formed military alliances and traded architectural influences with well-known sites such as Tikal, Calakmul and Teotihuacan. It wasn’t until the dramatic rise of Chichén Itzá that Cobá’s power began to wane. By 1000AD the once-great city had become more of a religious center, with little or no political clout. Today, its remarkable ruins (which include the 120-step Noloch Mul pyramid) are still being excavated from the jungle, with some experts estimating around 80% are yet to be uncovered. In the northwest state of Haryana, about 150 kilometers from Delhi, lies the Harappan settlement of Rakhigarhi. While not as well known as major sites at Harappa and Mohenjadaro, Rakhigarhi is 224 hectares, which makes it one of the largest archaeological sites in India. Recent excavations have uncovered an important urban center dating back 5,000 years, including paved roads, water collection and drainage systems, and brick, metal-working and statue factories. The people who lived here were also highly skilled with jewelry and precious stones. 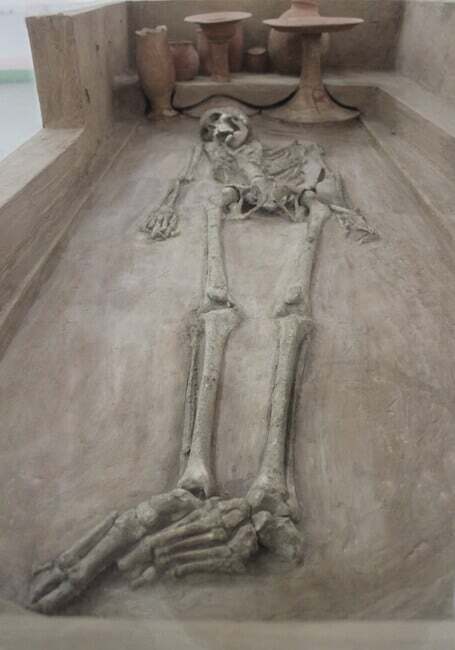 A 2015 excavation produced four complete human skeletons (two male adults, one female adult, and one child) from mound RGR-7. 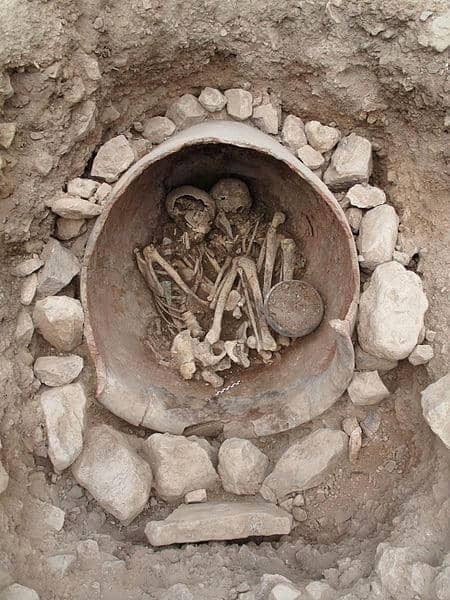 Around the skeletons, archaeologists found pottery that contained grains of food and shell bangles. The Global Heritage Fund has declared Rakhigarhi as one of the most endangered ancient archaeological sites in the world.There have been many suggestions in recent years that Rakhigarhi might get UNESCO World Heritage Status, and the much-needed funds that come with it. But, with a hotel development also planned for the area, Rakhigarhi might not be off the beaten track for much longer. The roots connecting Jerusalem and Ethiopia run deep. Some 2,000 years ago, the Queen of Sheba went in search of Solomon and ended up in Jerusalem. There, the Jewish king known for his wisdom became the father of her son, Menelik (a.k.a. Ethiopia’s first emperor). Menelik supposedly took the Ark of the Covenant with him when he returned to Ethiopia. 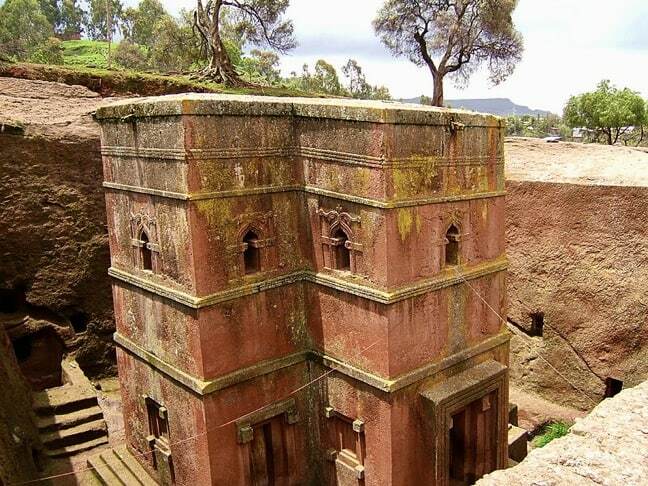 Fast forward a thousand years, and a newer Christian emperor, Saint Gebre Mesqel Lalibela, set out to create a mystical model of both the heavenly and earthly Jerusalem by carving eleven churches into the rock on the side of a mountain 2,500 meters above sea level. Now a UNESCO World Heritage Site, Lalibela is also one of the most important sacred sites of the Ethiopian Christian Orthodox religion. Located in Murcia, La Bastida was perhaps the most powerful Bronze Age city in Europe. Archeological excavations turned up a unique, imposing construction and fortification system matched only by the Minoans of ancient Greece. The ongoing digs are part of a larger project to create one of the most comprehensive archaeological parks in the world. Beyond the excavations, La Bastida Archaeological Park will feature a museum, research center, library, and visitor facilities. The park will also allow visitors to view the entire research process, including visits to the laboratories. Set your appointment to visit the park, which is about 10km southwest of the village of Totana, through the Totana Tourism Office on Plaza de la Constitución. Located in the mountains of Panama near the Costa Rica border, Barriles was named for several stone barrels found on the site in the late 1920s. Based on the limited research done at the site, it’s assumed that the 1000+ people of Barriles were divided into upper class, middle class, and lower class. Around 600 or 700 AD, Barriles boasted a higher population than any other city in the region. It was possibly a ceremonial center, whose activities drew people from the dozens of sites dotting the Chiriquí valley and the slopes of the Talamanca cordillera. Barriles can be found on the road to Cazán, about 6 kilometers south of Volcán, and is open daily from 8am to 5pm. Located on an island off the coast of Tanzania, the trading center of Kilwa Kisiwani was once one of the greatest cities in the world. Founded around 900AD on an island off the coast of East Africa by Ali bin Al-Hasan, the city grew steadily over 400 years by linking Africa’s southern interior with civilizations in the Indian Ocean and Pacific Rim. Coins from Kilwa have even been found in Australia. By 1200, Kilwa dominated nearly the entire coast of East Africa. The great Moroccan traveler Ibn Batuta arrived to Kilwa in 1331 and was amazed by the city’s beautiful houses built with coral, its dome-chambered mosque, and its rich sophistication. The city finally fell to the Portuguese in the late 15th century. 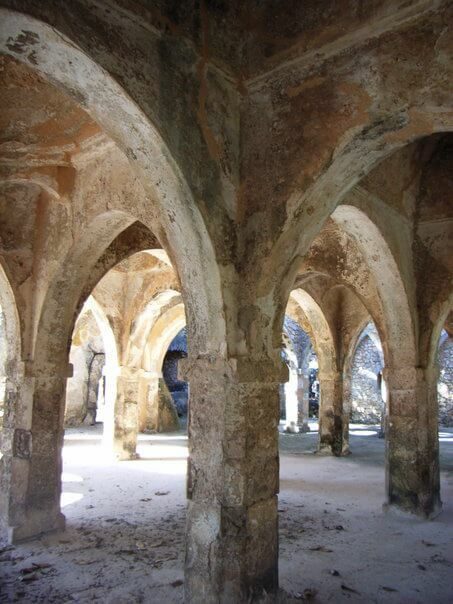 Today, Kilwa is an impressive UNESCO World Heritage Site best accessed from Kilwa Masoko, south of Dar-es-Salaam. 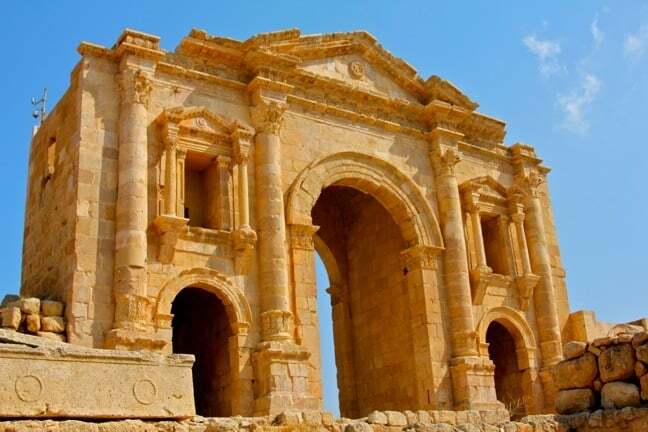 Located less than 50 miles from Jordan capitol city, Amman, ancient Gerasa was one of the famous Decapolian cities– the 10 centers where Greco-Roman culture mixed with Semitic and Persian civilization. The Romans arrived there in 63BC and absorbed the city into the Province of Syria, and later the Province of Arabia. But the Romans also allowed the city considerable self-rule, and it grew quickly in size, significance, and wealth. It became so important that Emperor Hadrian felt compelled to visit sometime around 130AD, when the triumphal arch was constructed. Even after the collapse of the Roman empire and a takeover by the Persians in 614AD, the city continued to prosper. It wasn’t until a massive earthquake struck in 749AD that the city was partially abandoned, and quickly lost its regional influence. Excavation at the site took off in the 1920s. Today, Jerash is perhaps the largest and best-preserved Roman city in the Middle East. Though it’s not nearly as popular a tourist attraction as the City of Petra, it remains a must-see for history buffs. Chimney Rock is a dramatic, 1000-year-old site in south-central Colorado, located between the towns of Durango and Pagosa Springs. An important ancestral Puebloan site, Chimney Rock is located hundreds of feet above the valley floor within the San Juan National Forest Archaeological Area. The views are stunning, and the architecture is clearly aligned with the patterns of the sun and moon. At its height, several thousand people lived there. 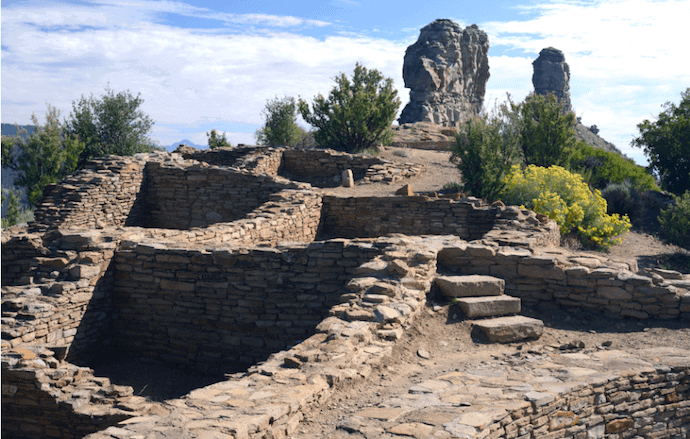 The Great House, which is of Chacoan design, is of particular interest: The difference between it and the better known Mesa Verde style of architecture is stark, marking a clear cultural distinction. BIO: Taos-based freelance writer and photographer Jim O’Donnell is a former archaeologist, and a member of our Green Travel Media team. He can be found at his website, Around the World in Eighty Years, and on Facebook and Twitter.